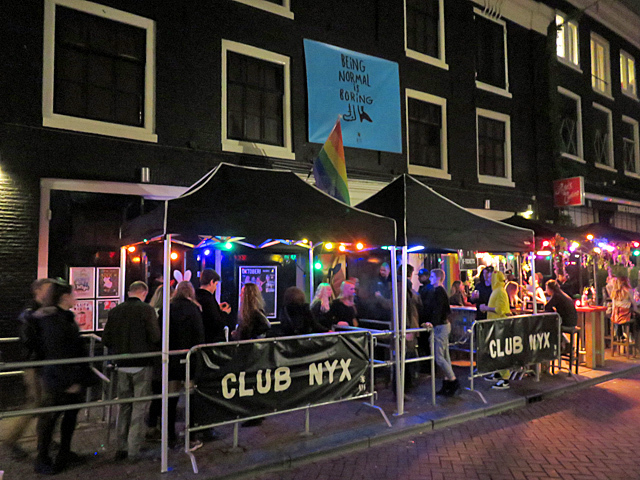 NYX is an openminded gay club where everybody is welcome, whether you are gay, straight, male, female or somewhere in between, but in general the crowd is young and trendy. On Thursdays, Club NYX aims at students, on Fridays there are parties for openminded people and on Saturdays there's the gay night 3x NYX, which goes on until 9.00 hrs in the morning every first Saturday of the month. 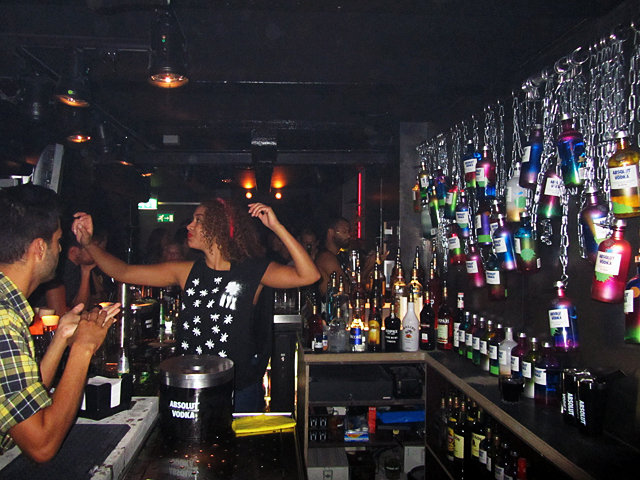 Besides the dancing area, there are two floors each with their own bar. On the top floor, there's a large smoking lounge and a very colorful bathroom area. In each of these spaces DJs spin different music styles. 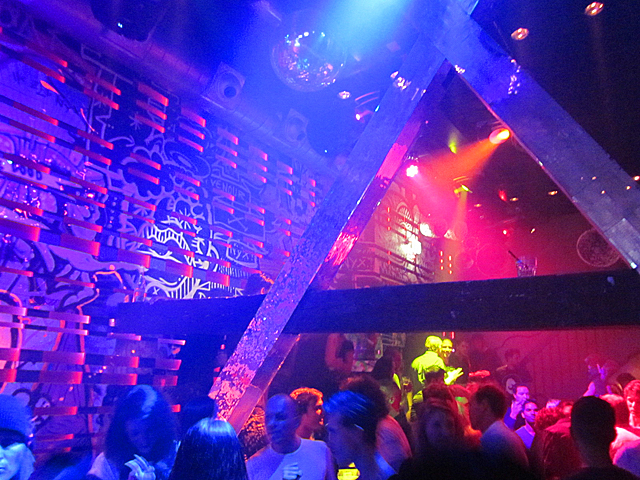 NYX is named after the Greek godess of the night and is the successor of gay disco Exit, which was located here from 1988 until 2010.